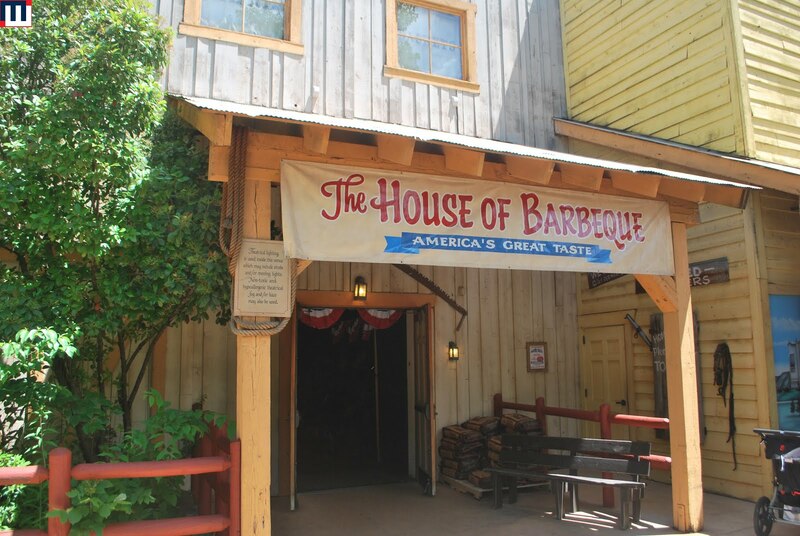 Welcome to Bluegrass & BBQ at Silver Dollar City. 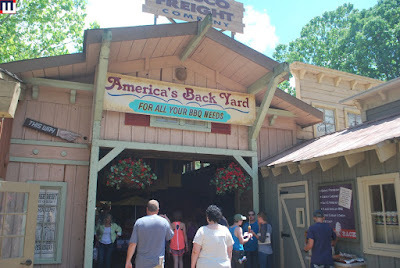 America's Back Yard is set up in the Frisco Barn. This is basically an "outdoor" shop that sells anything relating to BBQ and Summer. They had a major grill display in the Red Gold Plaza. Also in the Red Gold Plaza were some food booths that had some interesting and yummy offerings. 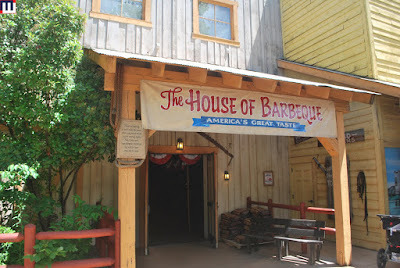 The main event for the festival is The House of Barbeque which is set up in the Red Gold Heritage Hall. 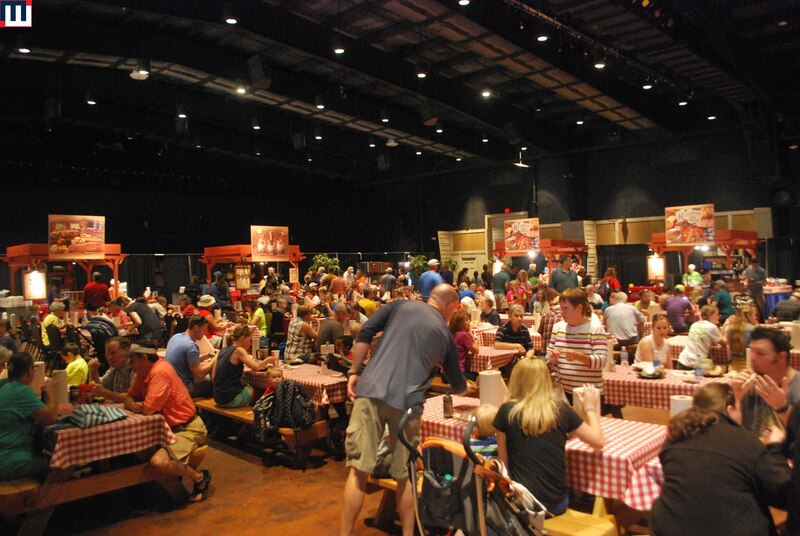 This is really just a massive food court that serves BBQ. 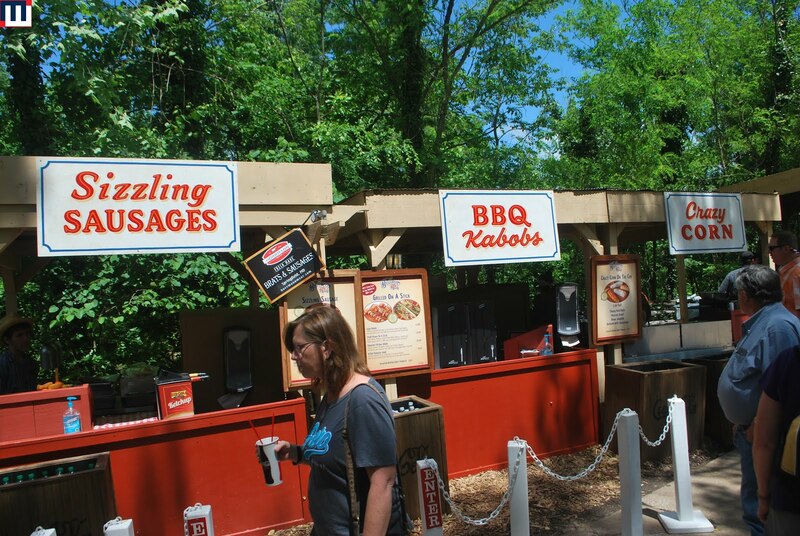 Each of the different stands serves different options. The big items this year were BBQ sundaes served in mason jars. Think layered BBQ meal items and you pretty much have the idea. One member of our party got this dish. It had a bed of baked potato then a layer of baked beans and cole slaw which was topped with brisket and a rib. This was the pulled pork plate. It featured sides of potato salad and baked beans with a side roll. While you dine, they have bluegrass performers on the stage. It's a really neat environment. 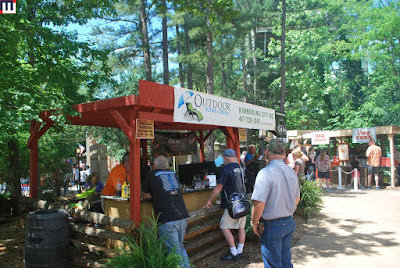 Besides what was shown above, they have different bluegrass groups performing at all of the stages around the park. The bigger names get to perform in the Opera House. 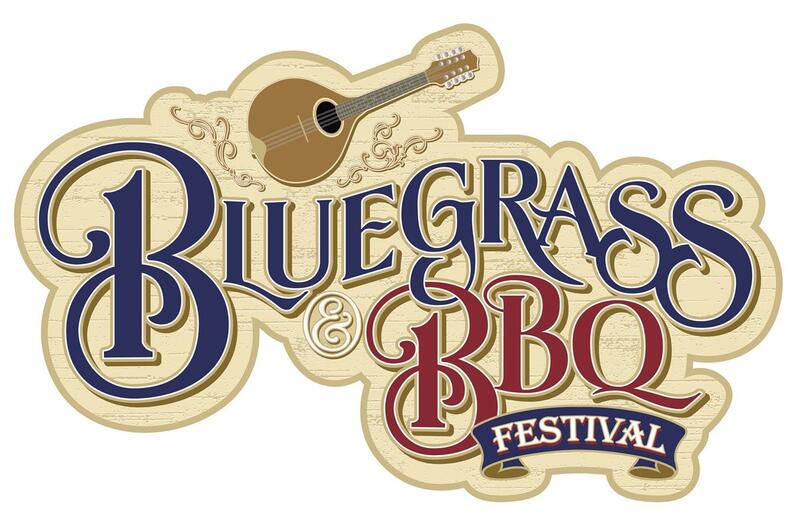 It's a fun festival - but I have to admit that I come more for the food then the bluegrass music.